Warmer weather means fun and festivals. 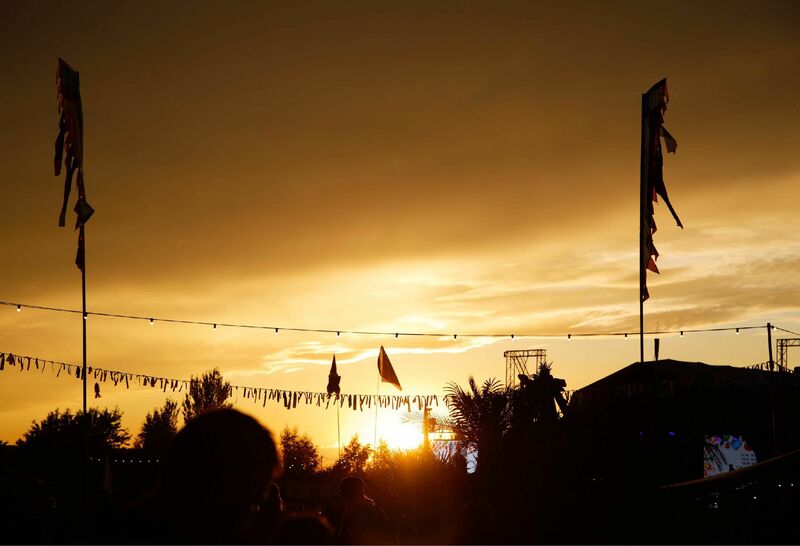 A British institution, no summer is complete without a carefree weekend of great music, tasty food and quirky entertainment, usually shared with mates in a muddy field or on a windswept coastline. With the UK embracing child-friendly festivals, there’s now no need to leave your little ones at home. 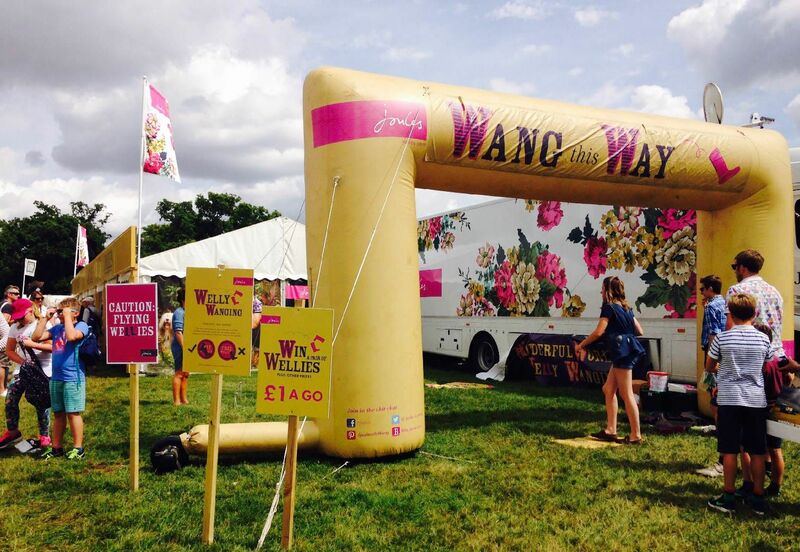 Festivals are now fully-fledged family days out. 1. Make time for a little extra preparation. Personally, I find the experience of going to festivals with kids even better. It’s definitely not more relaxing, but so much more fun. I think as long as you’re prepared for a little extra preparation, you can have the most fantastic time with your children at a festival. 2.Test the scene with one-day festivals. Somewhere where we can pack everything that we need into a buggy and spend the day in the sunshine is perfect for our boys. Lake Fest, which is local to us, is always a winner with children. Our dream is to attend The Big Feastival and Camp Bestival too. Hopefully this year! 3.Pack snacks. You’ll need a whole bag full of snacks and refillable drinks in a cooler bag. We also pack a picnic blanket or two. 4.Baby wipes. Obviously you’ll need an endless supply of baby-wipes…standard. 5.Think about how you can be as portable as possible. With young children, a 360° baby carrier is brilliant, as you always know your baby is safe and comfortable. A buggy helps though to carry the load and provide a place for the babies to sleep in peace. 6.Try to arrive before the crowds. Get a map and find the child friendly places first. 7.If the option to upgrade to VIP is there, go for it to make sure you have clean loos and a quiet place to chill out. We find this is really worth the investment, as we know there is always a back-up plan if it’s super busy and we need to escape the crowds with our boys. 8.Prepare for all weathers. Sun hats, sun screen, and an extra layer just in case. 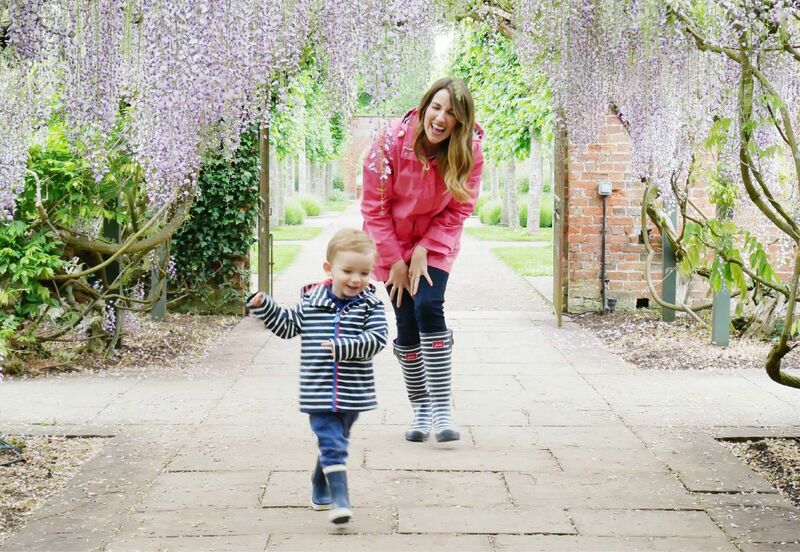 Wellies and raincoats on a wet day, sandals and sunnies if it’s warm. 9.If your children get tired, sleep on the go. We’ll usually just pop them in the buggy or carrier with some shade and let them have a snooze on the go. This is always a perfect time for us to finally relax and have some chill out time too. 10.Relax. More often than not, the schedule goes out of the window, but we go with the flow and make sure everyone has a brilliant day. The sign of a good festival day is dirty feet, sun kissed skin and happy sleepy children. 1.Even older children lack patience when queuing up at food stands, so snacks and drinks on tap are essential. 2.Bring a change of clothes and wet wipes. If you get a hot day, you want to feel excited for the evening line up, not exhausted and sticky. Having a quick wet wipe shower and changing into a new top can make the world of difference! Flip flops are great for the day, but I would suggest taking shoes which cover small toes for the evening when the dancing gets going, because if everyone in a crowd is jumping about they can accidentally jump on your toes. 3.Our wheel along wagon has been a life saver!We’ll stack it with blankets, hats and spare clothes. It is also handy to give the children a ride home in at the end of the night. 4.Each festival has such a different crowd, so research before you choose one. 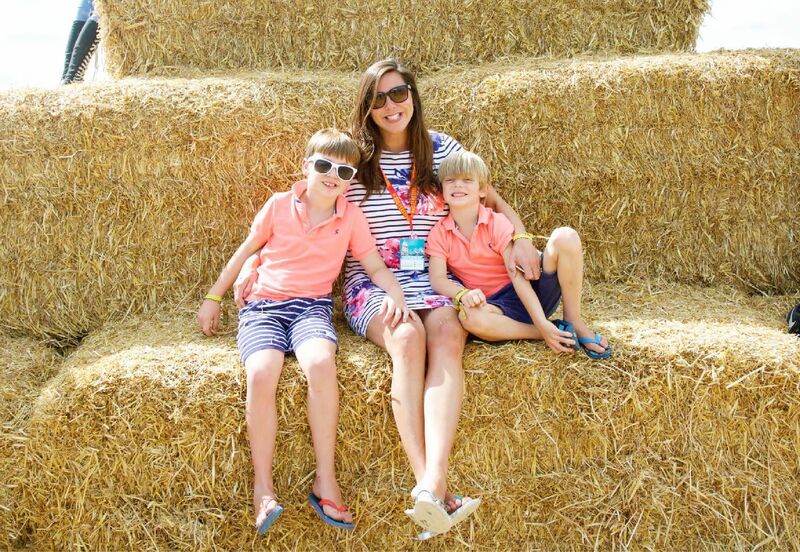 We were so lucky to go to the Big Feastival with Joules as our first proper festival experience with the boys. We loved the size of this one, as it felt more intimate and safe and we really could see everything over two or three days. Big Feastival felt completely geared to families – a safe environment for kids to have some freedom climbing a huge tower of hay bales, while parents looked on from their picnic rugs. 5.Don’t feel disappointed by the thought of an early night. When we check the timing of Big Feastival it sounded like an early finish. All the music stopped at 10/10.30pm, which was actually perfect. There were some bars open later, but the majority of festival goers slowly made their way back to cars, camp sites and local B and Bs. Everyone looked fresh for the next day in the morning too! 6.Be prepared to cover some miles. A festival day with the kids for us involves a little bit of everything! At Big Feastival, ours wanted to dart around the festival site, going from the fair grounds rides, to the food, to the craft areas and back to the stage in no order at all, just taking it all in. 7.Dress to stand out. I’ll dress our boys in the brightest, matching outfits, so I can spot them easily. Pop a phone number on the washing label of their t-shirts too, then they can tell someone to ring you if you get separated. 8.Don’t have your heart set on seeing a particular act. As a family we’ll just dance to everyone. At Big Feastival there was one main stage and one smaller stage, so we alternated between the two, without getting too hung up on being anywhere at a particular time. 9.Get the kids excited to dress up. Mine love all the neon bright colours and the fact that anything goes at a festival. They are all for the glitter face paints, glow stick bracelets and straw hats. They really embrace it. 10.Plan some downtime throughout the day. You need to pace them to keep them going for the evening! Whether you’re going to a festival this summer, or making your own fun in the back garden, our new season clothing, accessories and essential printed festival wellies will make sure you stand out in the crowd.